The news that announced the passing of Delores Holmes on April 16th, 2010 was met with great sadness; not just from those closest and dearest to Delores, but also from the New Jersey music scene. Its roll of honour had just lost another mainstay performer. Delores (“Miss Dee”) Holmes was certainly well known for her years as backing vocalist for the Bruce Springsteen Band but during her long musical career, she also performed with just about every artist who ever played the Jersey Shore. 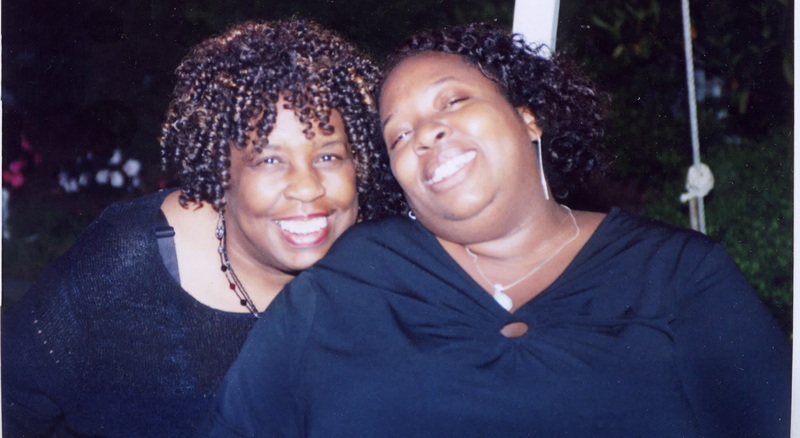 “I first met Delores about 20 years ago. I knew of her as something of an iconic figure in the Jersey Shore music scene but hadn’t really met her until she began performing at my club, “McLoone’s Rum Runner” in the late ’80s. She was singing with people like Pat Guadagno and the late Dan Petraitis and really brought it every night. She just had this authentic soul sound that I would later come to understand was rooted both in her upbringing as a church singer but also, more importantly, from a tradition of gospel singing in her family. Shortly thereafter, I hired her to do lead vocals on a song I had written and she just knocked it out of the park. I was most impressed, however, by the professionalism she was to go on to exhibit to me over the next 20 years. When I founded our charitable group, Holiday Express, in 1993, Delores was the first call I made. I knew that we would be going to many places that were mostly populated by minorities and that we would need to be ethnically diverse to have the greatest impact. Dee was generous enough to me to allow for an open conversation about that and, along with her daughter Layonne and cousin Karen Credle-McGee became a centerpiece of our performances over the past 17 years. From there, I started “Tim McLoone and the Shirleys”, the “Shirleys” being Dee, Layonne, along with Maureen McCrink, and Amy Broza. It’s a 10 piece group that is still going today featuring a mix of R & B, American songbook, R ‘n R, originals, etc. Dee’s illness had taken her out of the group pretty often over the last year but she still found a way to get to the stage now and again. We were able to complete our upcoming CD, Meet the Shirleys this past winter before she passed and I am so thankful we have been able to memorialize the unique “Dee sound”. At the end, she had to be wheeled into the studio and was so very frail. But as soon as the mic was “live”, so was Dee. She somehow was still able to summon up some soaring lead vocals as well as that outrageous harmony that really marked her career. I think it’s fair to say that Delores Holmes’ performance on the post 9/11, “Tribute To Heroes”Her telethon was a pinnacle point in her singing career. Together with her daughter, Layonne, they backed Bruce Springsteen when he performed My City of Ruins. The soulful, gospel blend of mother and daughter’s voices added an extra dimension of poignancy to a song that was so uncannily appropriate for this tragic occasion. It goes without saying that losing a best friend, or a business partner or a singing partner or a housemate is a heartbreaking experience but when all of the above relate to one single person, it’s hard to imagine the depth of Layonne Holmes’s loss. Nevertheless, what follows is a wonderful insight about some of the things we didn’t know about Delores Holmes from the person who knew and loved her best, her daughter, Layonne who so very kindly agreed to contribute to this piece, by email, for Backstreets. I began by asking Layonne about the interview her Mom gave to Bob Makin for Backstreets #73 (Winter 2001/2002) in which she spoke about her early career as well as the telethon appearance. I guess you probably have a copy of Backstreets magazine #73 (winter 2001/2002) in which your Mom spoke to Bob Makin… it’s a lovely interview and she talks about you a lot! Can you remember anything about being at the rehearsals at the surfboard factory your Mom talked about? Layonne: I really don’t remember those rehearsals, too young, but I do remember going back there a few times to visit Tinker years later. You would never know what’s behind those doors from the street. Tinker is just one-of-a-kind. In that respect, what is your first memory of the music world your Mom was a part of? Layonne: Besides singing with the family of course, I remember going along to rehearsals and sessions here and there, sometimes to Bruce’s place (in Holmdel I think), but I really saw her sing when we lived with some of her band mates in Elberon. She was a more timid person then but her voice was raw and real, I don’t think she knew how good she was then. After that she began singing with Gabriel Roth’s band and she blossomed in many ways, she began to understand her voice’s power. Did you realise that your Mom and Bruce were reminiscing about the “old days” while you were singing In My Life with Bobby Bandiera’s band at Bruce’s garden party prior to the telethon performance of My City of Ruins? Layonne: Not really, I was too in awe of the musicians on that stage, they were cooking! I just couldn’t believe I was up there, just wanted to do the best I could. Your Mom said that you and she were singing a two-part harmony to “Rockin’ Robin” one day while washing dishes and she knew from then that you would become her teacher. Did you ever feel like you were teaching your Mom? Layonne: Musically no, she definitely was my teacher. My Mom had this way of singing with abandon that was so amazing. It’s like she’d just go for it and not worry where she’d land, just letting the emotion carry her. I always loved and admired that in her. You know you work hard to be skilled at your craft but that emotional side is just a part of you and sometimes harder to develop. She would say that you’ve got it when you can marry the two. In life, I think we taught each other, in a lot of ways we experienced growing up together. Over the past couple years I suppose our roles switched somewhat, I wanted to take the lead and do as much as I could to give her the most I could. It’s the least I could do for the woman who sacrificed everything for me. There was a really beautiful version of your Mom singing “Shower The People” on your website (www.westendarts.com), I’d love to know what the occasion was and who the other musicians were, please? Layonne:That was one of the annual benefit concerts for the AIDS Resource Foundation for Children, The Twilight Concert (www.aidsresource.org), a favored charity. Pat Guadagno is playing guitar and singing, along with Danny Petraitis, Lew Longo, Maureen McCrink, Pam Minson, Scott Paden and myself and the rhythm section of Phil Rizzo on bass and Tom Minson on percussion. At the end of that song, the electricity suddenly cut out (hence the fade), and then the singing and hand-clapping really kicked in! This was not the first time that electricity acted strangely when Mom was around, she really did have something about her, we always took note of it. Even as a kid I used to ask her to sit down because she’d ruin the TV reception! I lost my own mum just over 30 years ago and I treasure the memories I have of her, especially the times when we laughed together… your Mom was very gifted, Layonne and I know she will be sadly missed in, and by, the NJ music scene. She has, however, left a wonderful legacy in you… if there is anything else you would like to share your thoughts about, I’ll be happy to hear about them. Layonne: A few years ago the Rock & Roll Music Fund held an impromptu fundraiser for Mom, she was about to have surgery related to the disease and would be out of work with heavy expenses. She wasn’t up to attending but I did, and the overwhelming positive energy in the Celtic Cottage that night was something I’ll never forget. I met so many people from varying parts of her life and they all had a story to tell. As the years went on, I’ve continued to have that experience, with so many people recounting how my Mom touched them in some way, this little girl from Matawan who made her way through life with an open mind and heart. No matter how much love she gave, I never felt left out, she really had all of that to give. It’s the greatest lesson she could’ve given me and I hope to pass it on. Thank you Maggie and Backstreets! Sincerest condolences go to Layonne Holmes and family from everyone at Backstreets. Also, heartfelt thanks to Layonne, Bobby Bandiera and Tim McLoone for their contributions. Layonne Holmes is on Facebook. 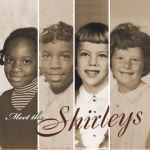 Meet The Shirleys featuring Dee Holmes, Layonne Holmes, Maureen McCrink and Amy Broza is available as an MP3 download here and here.